This is the first of a five-part blog I am posting on the details of the iPhone4S camera. Please see the intro if you have not read this – it will give you an overview of what I am presenting and why. Before I dive into details of the camera system included in the iPhone4S, I want to establish some common ground with terminology. I have only included terms that are pertinent to this discussion, and have tried to keep the explanations simple. Hopefully this will be of use to both newcomers and professionals alike – I find that even with experienced users there can be differences in interpretation of meaning – and that stating up front how I will use terms will reduce any confusion. For those of you that are fully knowledgeable in photography and/or optical systems – I know I have left many details out. Deliberately. I am not trying to teach optics or photography – just establish some baseline understanding for discussing this cool little camera that is included in the iPhone. There are many limitations to this, or any other cellphone camera. However, with a bit of understanding of the hardware and software – and what is realistic to expect – some surprisingly good photography can result. The bar for entry to quality imaging is lowered even further. My basic desire with this set of blogs is to share what I have learned in the hope that even more people can express themselves creatively with better control and knowledge over their toolsets. I’ll begin now with a Glossary of Terms that will be useful during the rest of the posts. This is the area of a scene that is visible through a particular lens. While technically this value is expressed in degrees, in general terms we use the phrases “wide angle”, “normal” and “telephoto.” The actual angle of view of an optical system is dependent on focal length of the lens and the sensor (or film) size. Since by and large the general public, and photographers themselves, have adopted the “35mm” camera as the de-facto lens/body system, most references to angle of view in relation to a particular focal length assume this ‘sensor’ size (even though until very recently the sensor was photochemical film). A “normal” lens for 35mm is typically a 50mm focal length, which gives approximately a 40° AOV (Angle Of View). A “wide angle” lens for 35mm is typically anything from 18-35mm focal length (with so-called ‘fisheye’ lenses having focal lengths less than that). For comparison, a 30mm lens would have a 62° AOV. On the other hand, a “telephoto” lens – typically anything over 85mm focal length – has a narrower angle of view than a “normal” lens. A 200mm focal length is a fairly common telephoto lens, and for the 35mm format this would have a 10° AOV. Scale: objects taken with a ‘normal’ lens tend to look, well… normal. A wide angle lens distorts the relative size of objects closer to the lens in relation to those further away – close objects look bigger and far-away objects look smaller. A telephoto lens tends to compress, or flatten, the apparent depth of view. There is little apparent difference in size from a near object to a far one (as long as they are both in focus). Vignetting: Any lens has light fall-off from the center of the lens towards the edge – this is a basic fact of optics. High quality lenses minimize this, but the effect gets more pronounced the wider the angle of view of the lens. Apparent vignetting will show in most lenses – no matter the quality – with a focal length of less than 24mm (for a 35mm system). Just as a reference, for the 35mm camera system, the range of AOV currently available in lenses goes from about 220° (Nikkor 6mm fisheye) to 1° (Reflex Nikkor 2000mm). A very important aspect of AOV is that of sensor size – a separate discussion below will address how sensor size is a factor along with focal length to give the actual Angle of View. (See Equivalent Focal Length). The size of the lens opening through which light rays can strike the sensor or film. The term “f-stop” is usually associated with aperture – as these numbers are often engraved on the aperture control ring on adjustable aperture lenses (as in 35mm photography). This terminology comes from the “f” in focal length (the numerical relationship between the physical diameter of the aperture and the focal length of the lens) and the physical “stop” – or click – that is felt when the user adjusts the aperture on a lens. For instance, on a normal 50mm lens, an aperture of f2.8 means that the actual ‘hole’ where light can actively pass through the lens/diaphragm assembly is 18mm in diameter. [1/2.8 = .357 X 50 = 18] The correct nomenclature for aperture is actually f1/2.8 – as the f-stop always refers to a ratio. As an example, the same numerical aperture (f2.8) on a 200mm lens would equate to a physical opening of 71mm. From this you can see that a low f-number (equating to a larger light-hole) requires a physically larger lens. Typical hobbyist/semi-pro lenses for 35mm systems usually have an aperture that ranges from f3.5 to f5.6 – as this makes the lenses affordable and not too heavy. So called ‘fast’ lenses (ones with wide apertures) – which lets more light in, and therefore a higher shutter speed can be used – are expensive and heavy. 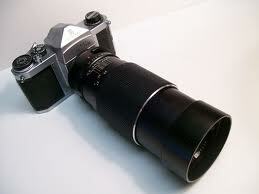 f2.8 400mm lens (Fast lenses are big, heavy and expensive. 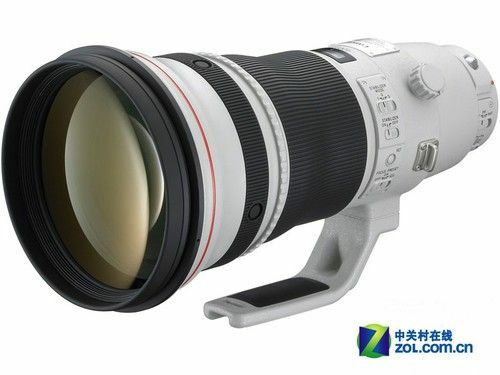 As an example the above Canon lens weighs 12 lbs., the objective lens is almost 6″ in diameter, and costs $11,500). American Standards Association. Originally this group set the standards for film sensitivity to light (and the ratings were expressed with an “ASA” number). The rating index was arbitrary, the important aspect was that of an arithmetic scale – i.e. a film emulsion with a speed of 200 was twice as sensitive as an emulsion with a rating of ASA100. Essentially, ‘slow’ films (low ASA number) are less sensitive to light, therefore require longer exposure times, while ‘fast’ films (high ASA number) are more sensitive and can acquire a good exposure with a fast shutter speed. The tradeoff is that fast films are more grainy and have lower resolution. The ASA (as the standards body that handles film/sensor speed) has been supplanted by the ISO (International Standards Organization). The same arithmetic speed numbers apply (i.e. ASA100 = ISO100). The whole subject of film/sensor sensitivity is complex and deserving of a long discussion, for this purpose the important issue to know is that as sensitivity is set higher (higher ISO #) exposures can be made at higher shutter speeds or higher f-stop settings – with the tradeoff of more grain and more noise in the resultant picture. The ratio of width to height of the sensor or film in a photographic system. In the 35mm film system, the actual image area is 36mm wide x 24mm high, for an aspect ratio of 1:1.5 (often labeled as 3:2). Many digital sensors have a slightly different aspect ratio – and there is no standard here like there was with film – for instance a common ‘consumer’ format, the so-called ½” sensor size is 5.3mm wide x 4mm high, for an aspect ratio of 1:1.3 (often labeled as 4:3). The important factor from this is actually the size of the diagonal measurement of the sensor, as that is the longest dimension – and sets the minimum size that the lens must cover in terms of optical area. A type of geometric distortion occurring in lens design and manufacture. The effect is that straight lines are bowed outwards at the edge of the picture, resembling the sides of a barrel. This is commonly found in wide angle lenses, and due to their relatively low cost, can be prevalent in cellphone and consumer cameras. Charge-Coupled Device. This describes the technology of the image sensor used in virtually all modern still and video camera imaging systems. It consists of a flat plate that is covered with a matrix of very small ‘pixels’ that convert light to electrical signals that are then converted into an electronic image. The size of the sensor is usually given in mm, and the number of pixels in ‘megapixels’ due to the very high number of individual sensing elements. An older consumer camera or cellphone may only have 1.9megapixels (1600×1200), while a new high-end DSLR camera may have over 24megapixels (6048×4032). Another important factor to consider is the actual size of the pixel in a sensor. If you take two identical sensors (in terms of megapixels) – say 4288×2848 (12megapixels) – but they are from two different sensor sizes [one is full sized: 36mm x 24mm; the other is 2/3 size: 24mm x 16mm], the individual pixel sizes are 50% larger for the full sized format. This makes a big difference in light-gathering capability as well as noise in low light areas of the picture. Larger sensors gather light more quickly, hence inherently have a higher ISO rating – and have less noise in the low-light (shadow) areas of the exposure. For these reasons the full sized sensor is used on all professional quality CCD cameras. Just to give some perspective, the iPhone4S sensor has 8megapixels (3264×2448), all packed into a sensor that is 4.54mm x 3.42mm in size. The size of an individual pixel in this sensor is 1.4μm square – that is 0.00000004” – a very small fraction of a millionth of an inch! Put it another way: you could put many thousands of those pixels into the period at the end of this sentence. While I personally don’t think this term is the best choice semantically, it appears to be in use so I will explain it here. This term is related to the term Equivalent Focal Length discussed below, please see that term for full details. Essentially this term (Crop Factor) refers to the ratio of the diagonal of the sensor size of the camera system under discussion, in relation to a reference 35mm camera system. Professional digital cameras have the same sensor size (well almost, but that’s another story – we’ll save that for a blog on another day…) as the original 35mm film systems. Most of the ‘semi-pro/advanced hobbyist’ DSLR cameras use a so-called “2/3” system (the sensor is 2/3 the size of a full-sized sensor. A full size ((35mm) sensor is 36x24mm, the 2/3 system uses 24x16mm. If you take the ratio of these sizes, the full size sensor is 1.5x the 2/3 system. Therefore the “crop factor” of the 2/3 system is 1.5 [the ratio to the 35mm reference system]. Essentially, as the sensor size decreases, with the lens focal length held constant the Angle Of View (see above) decreases. The importance of this comes as photographers attempt to use their older interchangeable lenses (from their 35mm film camera systems) with newer digital camera backs – often with a sensor size smaller than the 35mm system. For example, a 50mm lens that was used with a 35mm film camera, when attached to a 2/3 system digital back (very common with semi-pro Canon or Nikon digital cameras) now becomes the equivalent of a 75mm lens. That makes a significant difference in angle of view, as well as flattening of the field of view, etc. The zone of acceptable sharpness in front of and behind the subject on which the lens is focused. Strictly speaking, an optical system is can only focus on one image plane at a time, so only one distance from the focal plane of the camera to the subject is in perfect focus. However, within a range – called depth of field – all other elements are so close to perfect focus that a viewer cannot tell the difference. To be accurate, what is happening is that the ‘circle of confusion’ of an imaged spot is less than or equal to the ‘visual acuity’ of the observer within the range of “depth of field.” In optics, the term ‘circle of confusion’ is the optical spot caused by a cone of light rays coming from a lens that is not perfectly focused. The term ‘visual acuity’ refers to the limits of the human visual system in resolving detail in an observed image. So, simply put, if the circle of confusion (blur) of an image is less than the ability of the eye to see it (acuity), then the object still looks perfectly sharp to the viewer. Once the CoC (Circle of Confusion) becomes equal or greater than the resolving power of the human visual system (HVS), then we start to observer blur – or an out-of-focus condition. For complex reasons that will not be discussed here, this range is not perfectly centered on the focal point: with normal camera systems the depth of field extends approximately 1/3 in front and 2/3 behind the point of optical focus of the lens. Shorter focal lengths give greater depth of field. Smaller apertures give greater depth of field. Longer distances from camera to subject give greater depth of field. In relation to common lens types, (and point #1 above), wide angle lenses (shorter focal length) have greater depth of field than do telephoto lenses. With the advent of digital photography comes a large variation in sensor size. The original frame size associated with 35mm film photography (36mm wide x 24mm) has been tossed in the blender, and often it seems like every new camera that comes out has a slightly different sensor size. Fortunately, for serious DSLR (Digital Single Lens Reflex) cameras, the choices are very limited – this because these cameras use detachable interchangeable lenses – and the covering area of the lens must match the film/sensor size. A lens designed for a 2/3 size sensor (24x16mm) will not work on a full sized sensor (36x24mm). But with fixed assemblies (consumer cameras, point and shoot, cellphones, etc.) as long as the lens is matched to the sensor virtually any sensor size is possible. In order for a photographer to have an understanding of the particular lens/sensor system that is being used it is common to relate the actual sizes of the given system to that of a reference 35mm camera system – since that system is so ubiquitous throughout the world. Like most of this discussion, this subject is more complex than first apparent, but to simplify: the ratio of the diagonal of the sensor size under discussion, in relation to that of the 35mm system, is multiplied by the actual focal distance of the camera system under discussion to arrive at the equivalent focal distance in a reference 35mm system. Here’s an example: The iPhone4S has an image sensor that measures 4.54mm x 3.42mm. The diagonal measurement computes to 5.68mm. The diagonal measurement of a reference 35mm frame (36mm x 24mm) is 43.3mm. The ratio (or Lens Multiplication Factor) is therefore 7.62 [43.3 / 5.68]. The actual focal length of the iPhone lens is 4.28mm (when focused on infinity, which is the standard way all lens focal lengths are measured). Therefore the Equivalent Focal Length of the iPhone camera system is 32.5mm, in terms of a 35mm camera system (4.28 x 7.62]. This is considered a ‘wide angle’ lens, and is rather common for cellphone cameras. This focal length strikes a good balance in terms of field of view: enough for typical photography without having too much distortion. This is the quantity of light that falls on the film or sensor during the total exposure time. It is a formula: Exposure = Light Intensity X Duration. Light intensity is usually modified by the f-stop of the taking lens, Duration is modified by the shutter speed. The film or sensor sensitivity (measured by ASA or ISO #) also affects the exposure, as it is the ‘base’ on which an exposure takes place. If the ISO # is higher, an acceptable exposure can be made with either less time or a smaller aperture (less light intensity). A lens that makes the image in a photograph appear in a perspective similar to that of the original scene (approximately 45°). A normal lens has a shorter focal length and a wider field of view than a telephoto lens, and a longer focal length and narrower field of view than a wide-angle lens. Normal lenses correspond to that portion of human vision in which we can discern sharp detail; technically defined as a lens whose focal length is approximately equal to the diagonal of the film frame; in 35mm photography, the diagonal measures 43mm, but in practice, lenses with focal lengths from 50mm to 60mm are considered normal. A lens that makes a subject appear larger in an image than does a normal lens at the same camera-to-subject distance. A telephoto lens has a longer focal length and narrower field of view than a normal lens and has a shallower depth of field than a wide angle lens. Telephoto lenses have a focal length longer than the diagonal of the film or sensor frame; in 35mm photography, lenses longer than 60mm; also referred to as a “long” lens. 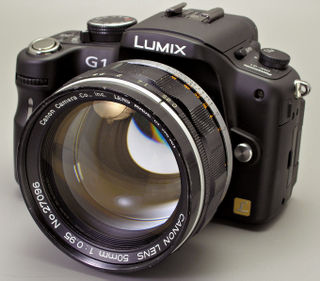 A lens that has a shorter focal length and a wider field of view (includes more subject area) than a normal lens. A wide-angle lens has a focal length shorter than the diagonal of the film or sensor frame; in 35mm photography, lenses shorter than 50mm; also referred to as a “short” lens. As a closing, some of the basic specifications of the iPhone4S camera are listed below. They will make a bit more sense now that the above terms are understood. The next post will focus on the main differences between ‘normal’ DSLR cameras and cellphone cameras in general – and the iPhone camera in particular. Shutter speed (minimum duration): 1/2000 sec.